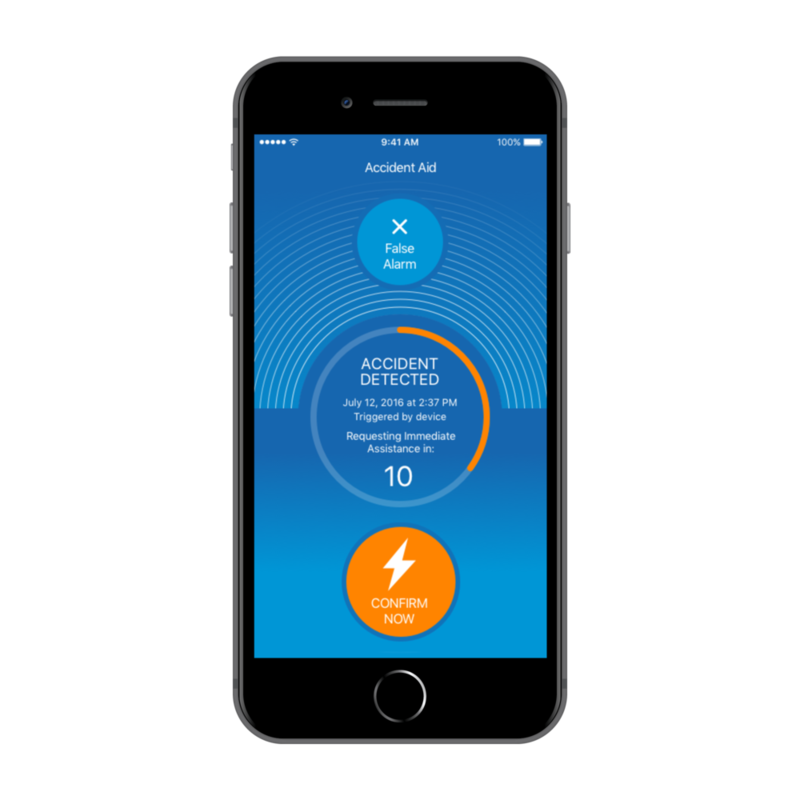 Accident Aid is powered by a collision detection device and a smartphone app, that notifies emergency services in the event of a crash. Accident detection services are notoriously expensive and dependent on the automobile manufacturer. 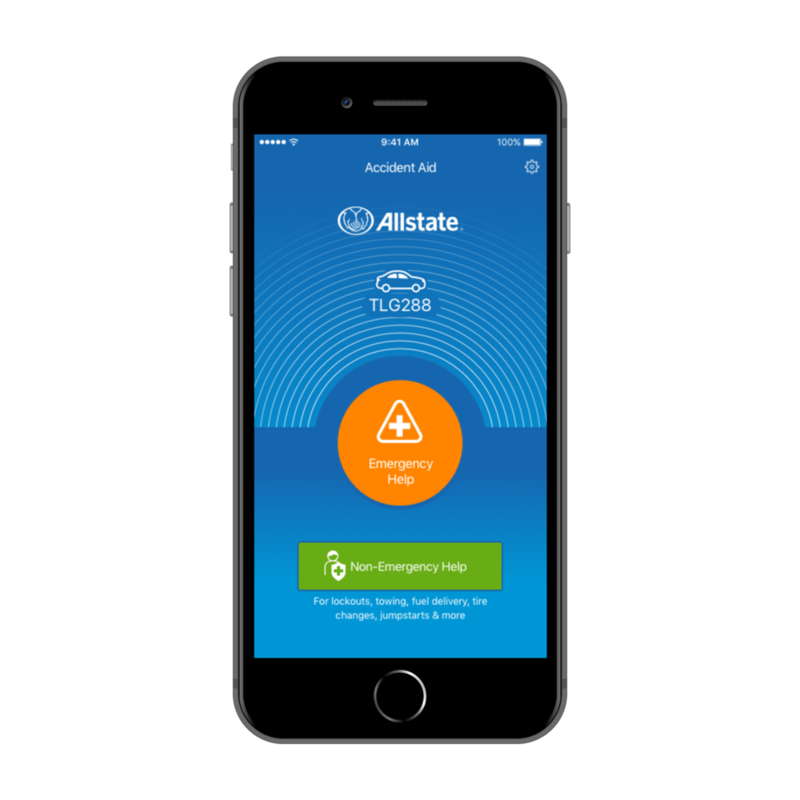 What if there was a small, light-weight device that when paired to a smartphone app could detect accidents and notify emergency services immediately? 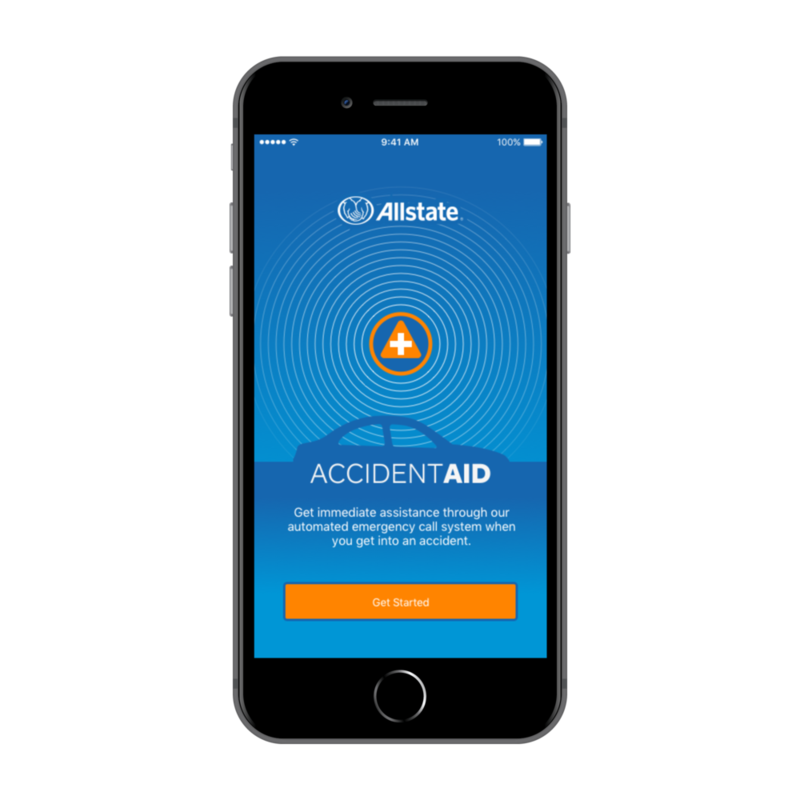 As UX lead, I lead the strategy and execution for Accident Aid, including marketing materials, native app design and unboxing. We partnered with Bosch, who built the device and IBM, who built the mobile apps. 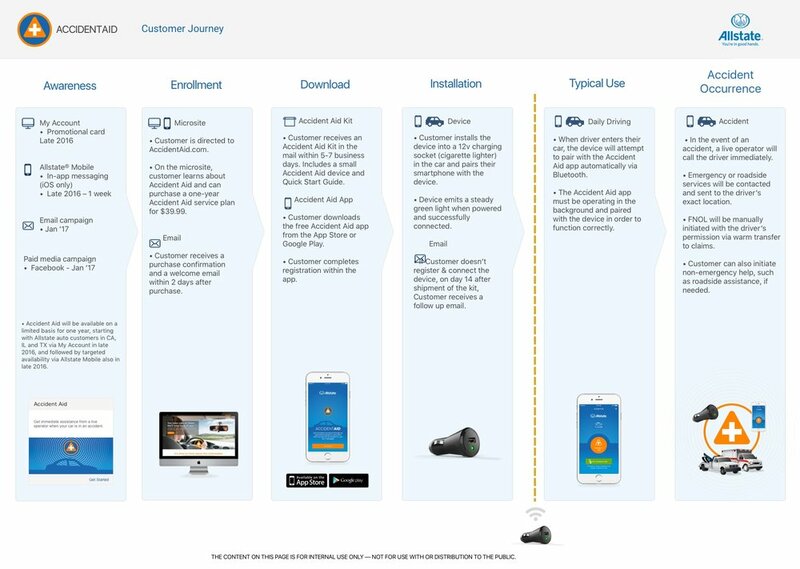 A journey map helps to outline the steps a user will take within your system. 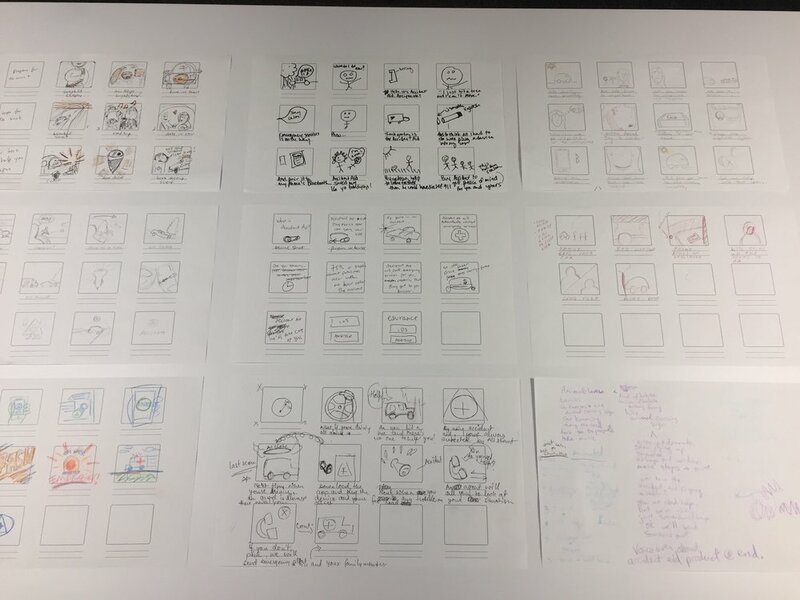 Thumbnail sketching helps to storyboard marketing materials, such as an animated explainer video.